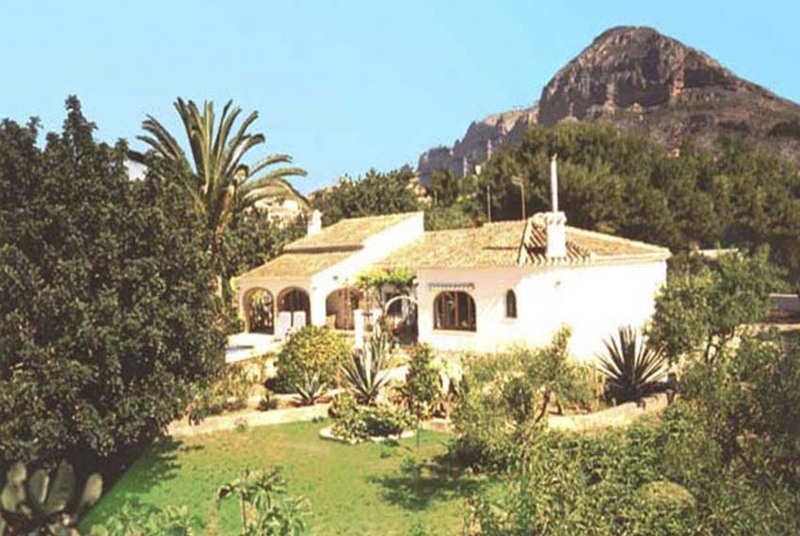 This comfortable, one-storey, family home set in large, attractive gardens is located in the Montgo Valley area of Javea. The grounds are fully enclosed with secure parking for several vehicles. A secluded 10 x 5m kidney shaped pool is surrounded by terraces & shaded areas and al fresco dining can be enjoyed at a covered terrace that overlooks the pool. 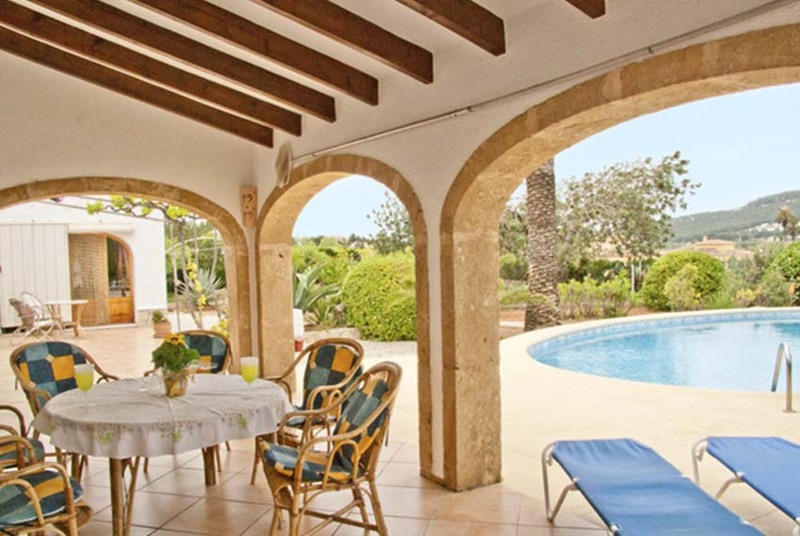 There are ample sunbathing areas, sun loungers around the pool and a large built in barbeque. 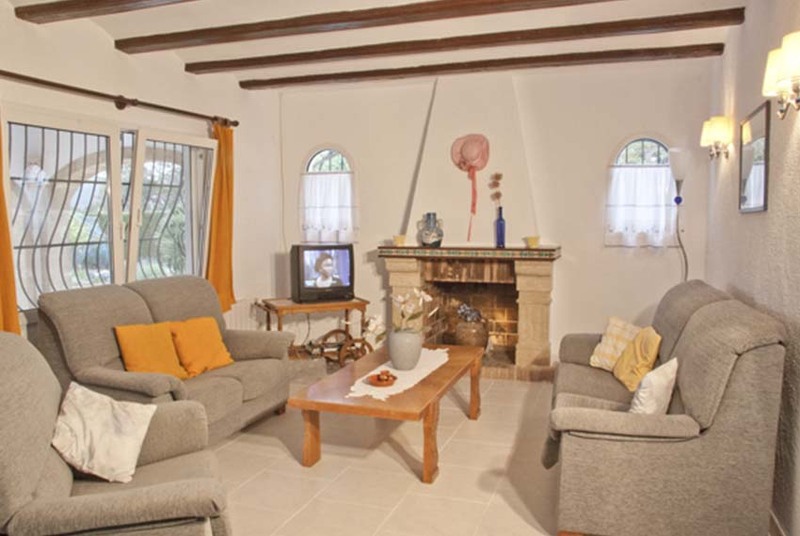 Entrance to the villa leads directly into the open plan sitting / dining room with satellite television an WIFI. 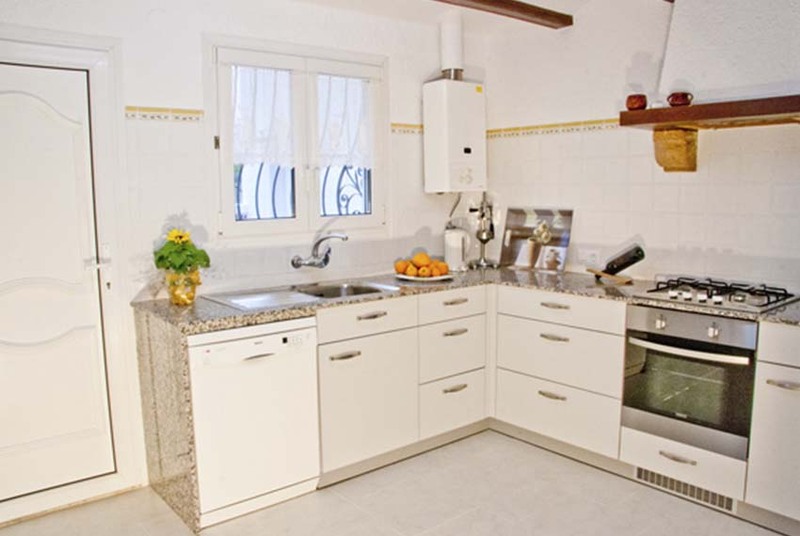 The large, traditional kitchen is complete with oven and hob, fridge freezer, microwave, dishwasher and washing machine. From a hallway that leads from the dining area is a master bedroom with king sized bed and air conditioning, and en-suite bathroom. 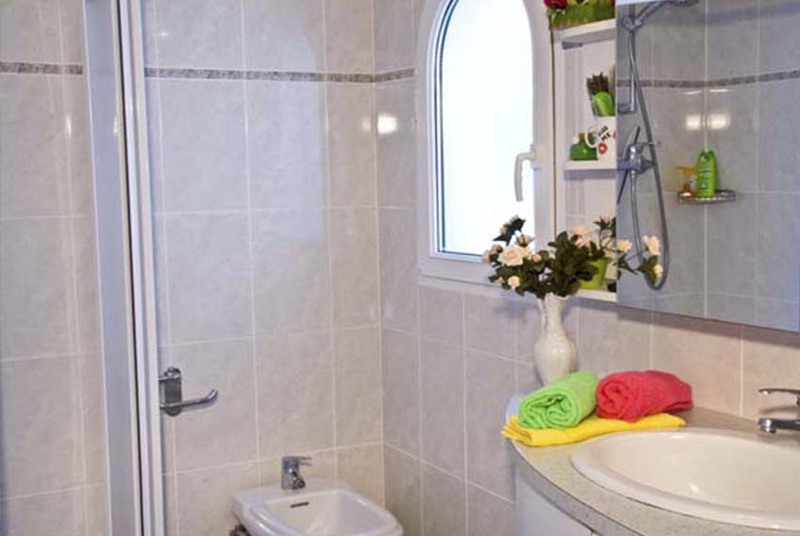 Two twin bedrooms, both with air conditioning share a separate bathroom. 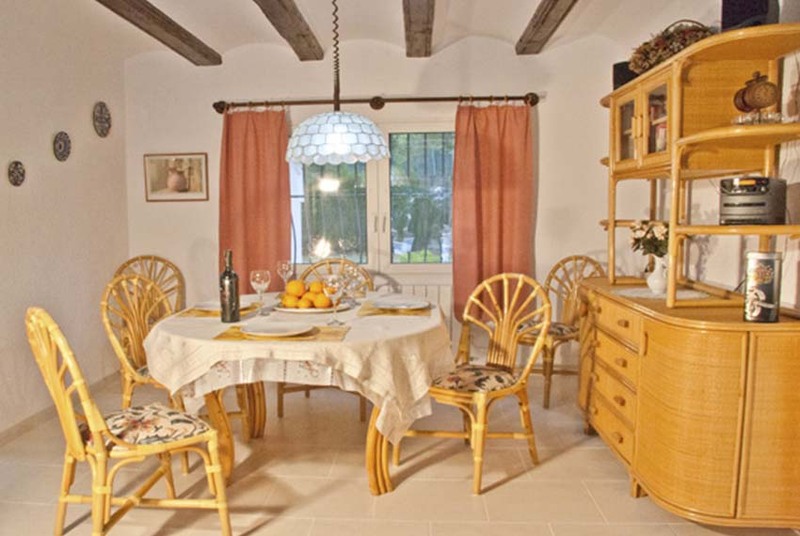 The villa is about a mile from the old town of Javea with its markets, shops, bars and restaurants. 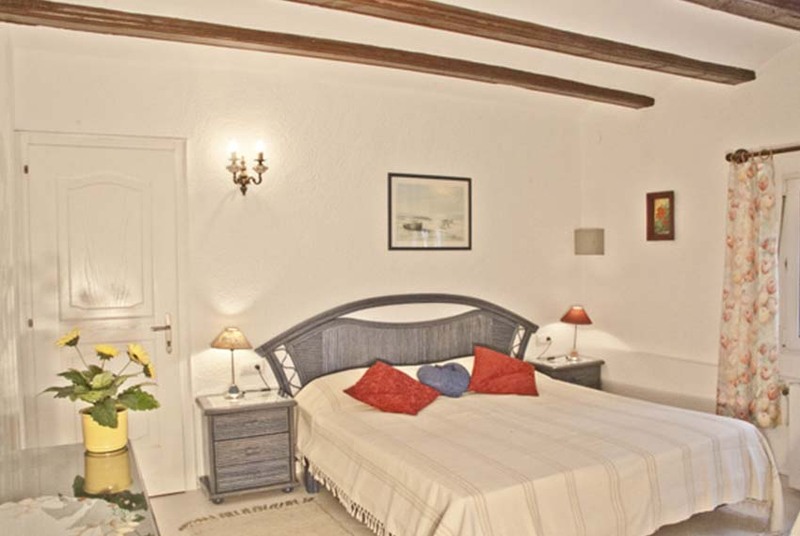 A further mile brings you to the blue-flagged Arenal beach, harbour and port. We have just returned from a fabulous holiday at Tranquilla. 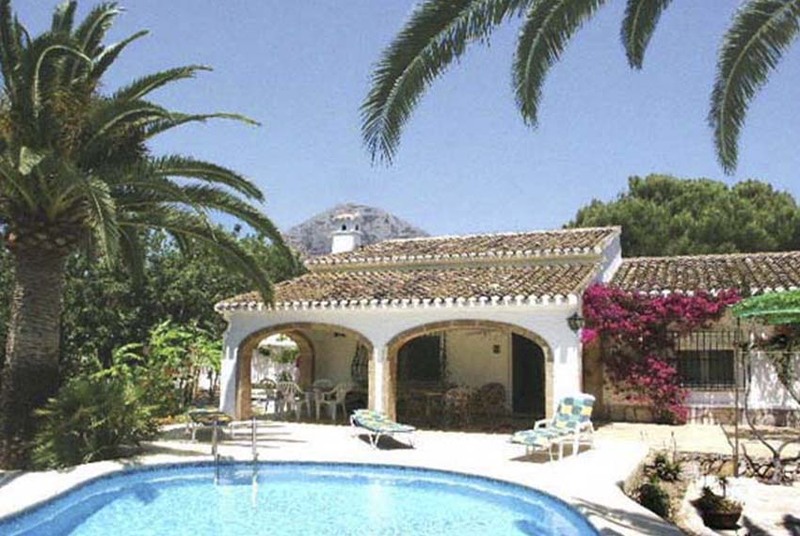 For a family holiday you couldn’t find a more seculed tranquil (as the name suggests) Villa in Javea. It has a fabulous location close to the Old Town..you can walk it in about 20 mins but it has some steep slopes but is worth it for the lovely fresh bread in town. The villa doesn’t have a dish washer but a little bit of washing up in such lovely surrounding wasn’t a problem. The TV is a little samll but has all the Englsih channels which was perfect for Wimbledon. The BBQ is large and you can get a great selection of wood from the wood place just up the Gata Road…two mins drive. We were really sad to leave and hope everyone who stays there has a good a time as we did. We had a superb fortnight at Tranquila. Very peaceful, but close to everything we wanted – loved the area. Totally recommend if you want to try the famous lifestyle!!! Just returned from Villa Tranquila and must say, that it’s a lovely place to spend family holidays. True Spanish -styled house and charming garden with all these tropical plants, made us feel calm and isolated. All service points were settled within 15 minutes thanks to Brian and Paul, who provided us immediately with all the necessary things. It was a great pleasure to deal with them and fell their assistance during all the time of our staying at the villa.